BEST ANSWER: I am an 8-8.5 Wide in shoes but at rainbow, I wear a size 9. I literally had to size up to a size 11 in their slides! I am so disappointed in the sizing this year, so be cautious when ordering. 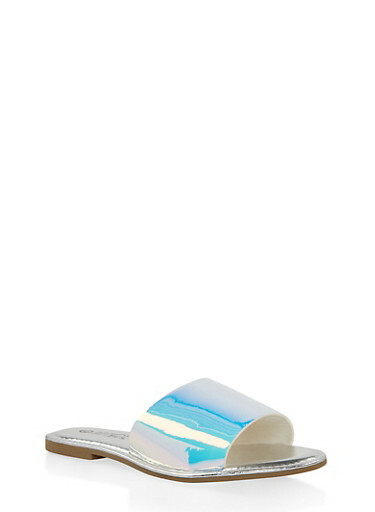 I HIGHLY suggest going into a store and trying on different styles and sizing regardless if you have Wide or Narrow feet because their sandals are running really small this year.